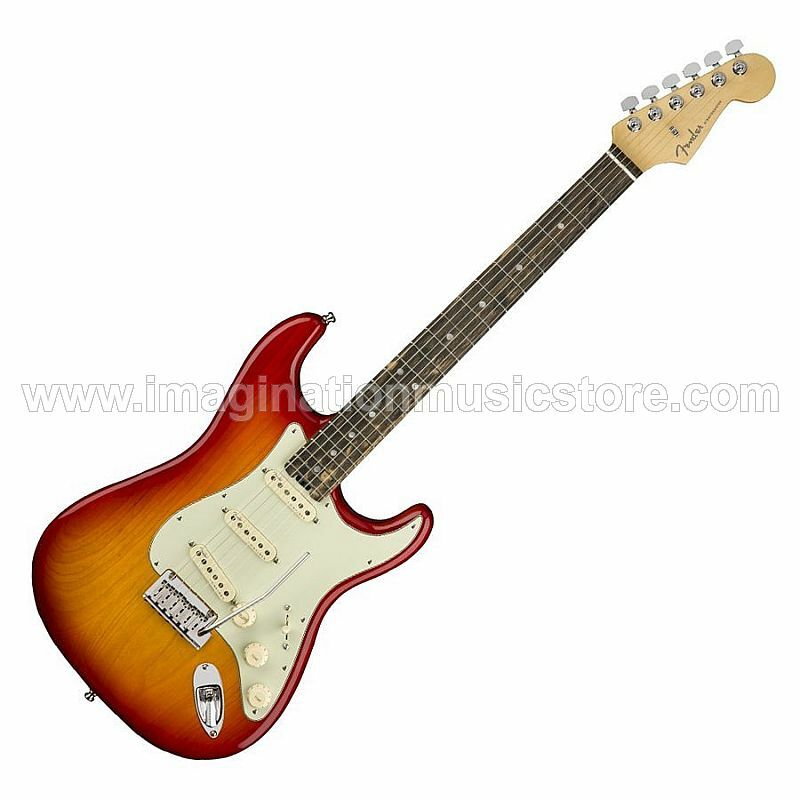 Over a dozen new innovations, such as 4th-generation noiseless pickups and high-mass full-sustain saddles, conspire to make the American Elite Stratocaster one of the best modern Strats for the money. The classic tone cocktail of an ash body and maple neck provides the same punch, bite, and twang that helped build Fender's empire, but the expanded 10-way S-1 pickup switching system and comfortable compound-radius neck will give even veteran Strat players reason to upgrade. Fender's tremolo system is also better than ever on the American Elite, with a smoother response and a copper-infused bridge plate to help fight tuning slippage. From psychedelia and surf rock to punk rock and metal, the Fender Stratocaster has helped shape the sound of rock 'n' roll for the past 60 years. The Fender American Elite carries on that tradition today with the classic build players love — a comfortable, lightweight ash body and fast maple neck for superior tone and playability — with over a dozen new innovations to continue to inspire great music for the next generation. The 4th-generation noiseless pickups give the American Elite a classic Strat sound without the normal hum and buzz. And for exciting tonal options, the American Elite's S-1 switching gives you 10 total pickup options, which include running all three in series. Sweetwater Strat purists appreciate that Fender built the S-1 switch discreetly into the volume knob for an unmodded, timeless look.